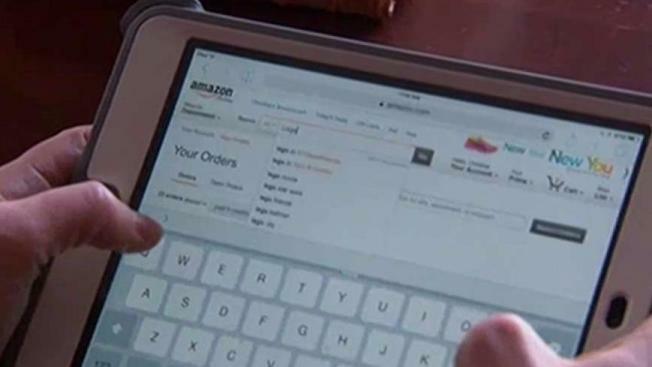 Get ready to comparison shop: Amazon Prime Day kicks off Monday night, but the online superstore isn't the only retailer with deals. Best Buy, Macy's, Toys"R"Us, Sears and more are taking a swing at Amazon's flagship summer sale. Amazon's annual Prime Day kicks off Monday night, but the online superstore isn't the only retailer hoping to capture your business during a regularly sleepy month for retail. Stores such as Toys"R"Us, Target, Sur La Table and more are jumping on the bandwagon, hoping to take a swing at Amazon by staging their own versions of this summer twist on Black Friday, which for Amazon runs from 9 p.m. July 10 to the early hours of July 12. Unlike Amazon's sales event, these retailers are opening their deals to anyone, not just subscribers. It will pay to comparison shop; keep multiple tabs open to find the best deal. "July is not a traditional shopping window," said Mark Cohen, director of retail studies at Columbia Business School. But, he said, Amazon has "called the party and invited all sorts of people who might not otherwise be interested in shopping in July." Amazon gave shoppers a window into most of its Prime Day deals starting Sunday, and Toys"R"Us and Babies"R"Us followed a similar strategy. Customers can receive 20 percent off their entire purchase online for 36-hours starting Monday at 6 p.m., said Joseph Contrino, spokesperson for Toys"R"Us, via email on Monday. Best Buy waited until Monday to announce it will mark down prices on technology such as Apple Watches, iPads and select computers starting Tuesday, said Boua Xiong, Best Buy spokesperson, via email. Some deals will be available all week in stores and online. "That's a strategic move on the retailer's part," said Henry Fonvielle, president of Rappaport, a retail leasing management and acquisition company focused on the D.C.-area market. "If they announce what they're doing ahead of time, Amazon will out price them before they go live. It's also creating a sense of discovery, that sense of 'ah ha, I've found this.'" Sears is promoting a Summer Splash event, boasting deals online only on Monday and Tuesday -- the same time span as Prime Day -- all with free shipping, said Brian Hanover, spokesperson for Sears, via email. The store is also discounting clothes, mattresses, tools and bikes Monday through Saturday. Kitchenware store Sur La Table will introduce a one-day shopping event called Lime Day, launching July 10. The tagline: Get primed for Lime Day. The day will feature more than 300 items on sale for up to 75 percent off, according to its Facebook advertisement. Target is offering "season-long low prices" on back-to-school items, with specifics available in their circular, said Target spokesperson Shandra Tollefson. The deals began Sunday. Newegg, an online tech retailer, will launch the Fantastech sale beginning Tuesday at 12 a.m. PDT. Macy’s is promoting up to 60 percent off clearance items online. They promoted up to 70 percent off clearance items with a one-day sale last Friday and Saturday. With Prime Day, Amazon is "going to take all the legacy retailers down the rabbit hole with them, who will have to compete in price," Cohen said. Consumer interest might drive sales for retailers trying to compete with Prime Day, but the added volume may not translate into profit, Cohen said. Brick-and-mortar stores can offer high-quality value, service, convenience and quality to keep customers loyal, Fonvielle said. "The reason why there's the gold rush is because the people that get the largest market share are going to ultimately going to lead the next evolution of retail sales," Fonvielle said. Amazon, however, benefits twofold from Prime Day, Cohen said. They sell both product and subscriptions, generating loyal customers who are likely to return to Amazon to use their Prime memberships in the future -- including during the holiday season. "Amazon is doing this and everyone is paying attention because they're not used to it," Cohen said. "This is a new toy to play with."